I've been an Amazon customer for nearly two decades. Their decision to block Australians from accessing their UK and USA stores hurts. But I don't blame Amazon, I blame the Australian Liberal Party, Scott Morrison (our current Treasurer) and the green-eyed retail lobby led by Gerry Harvey. Amazon's decision to block Australians from accessing their other stores is due to the broadening our Australia's Goods and Services Tax (GST) to apply to all overseas purchases made by Australians. Previously, there was a threshold of $1000 but from 1 July, that's been scrapped. Tax is tax and I'm not advocating the avoidance there of -- even though I don't agree with taxes on consumption, as they tend to hurt the poor most of all. Previously, if Australians imported goods worth over $1000 they were stopped at customs and/or the post office and tax had to be paid at collection. Our GST is set at 10%, so 10% of $1000 is worth collection. Less than $1002 and you quickly reach the point of diminishing returns. Many collection models were proposed, but it quickly became apparent to bodies like Australia Post, that having officialdom collect the tax would cost more than it was worth. In the end, the Government decided that it would be the sellers' responsibility to collect that tax and hand it over to the Australian Governments -- even if that seller had no physical presence in Australia. Australia is a nation of migrants and expats -- and I'm one of them. In this context, Amazon provides an important lifeline, by allowing expats to more readily procure content from their homeland. It's also been invaluable for those of us with family in different parts of the world, for it gave us the ability to virtually buy locally and get domestic shipping rates. All that stops for Australians on 1 July. Then there's the problem of content. Historically, because of Australia's tiny population, we've only ever received a fraction of content created overseas -- and when it gets here, it's typically much higher in cost. With Amazon crippling itself in Australia, I fear a return to the days when hardback books cost $45 and new video games cost $120. Because of our high prices and scarce content, Australians have been some of the highest downloaders per capita of pirated content. Turn off the Amazon spigot and it's not hard to imagine that will start happening again -- something as an author, I really don't want to see happening. On that subject. For me as an independent author, there's also another drawback. At time of writing, Amazon's CreateSpace publishing platform doesn't support Amazon's Australian store. Does that mean Australian authors who rely on this platform, will no longer be able to sell physical books to readers in their home market? There are of course other platforms and retailers, but Amazon is by far the biggest in terms of size, customers and mindshare. 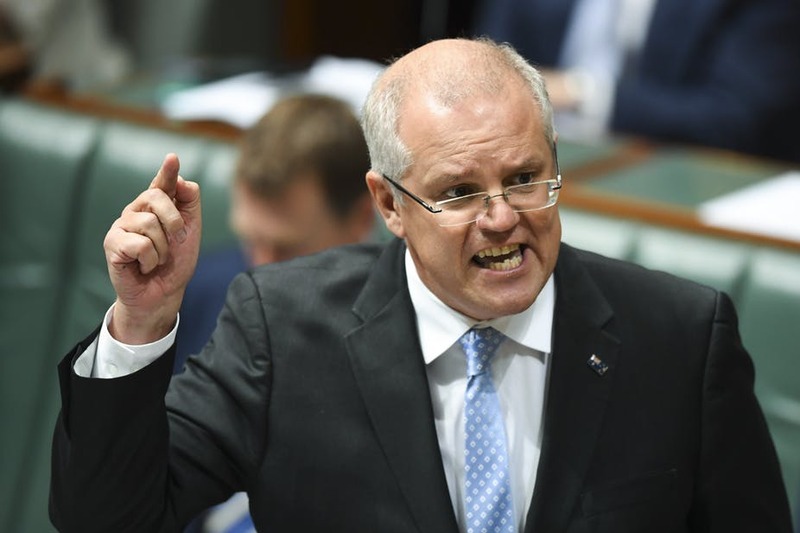 Scott Morrison is stepping up his rhetoric against Amazon. He's hoping that patriotic Aussie battlers will punish Amazon for their dummy spit. Well, as I said in my opening paragraph, I don't blame Amazon. I blame the Australian Liberal Party and their ill-conceived, poorly executed plan. Morrison argues that Amazon adapted their systems for Canada and the UK, which have their own sales tax requirements. That's true, but Canada and the UK are much bigger markets than we are. Australia is tiny, our government is a squeaking mouse surrounded by trumpeting elephants. For those of use who used Amazon as our lifelife to a larger, richer world, we're about to drown in our own insignificance and isolation once more.